One also gets a sense that our Caribbean territories have been somewhat unable, unwilling or slow to critically look at our native past and as such the story of our conquerors prevail. Yet there is hope. Hope in the continued observance of the lives of the Caribs in the Santa Rosa festival of Trinidad & Tobago. Hope in the continued existence of the Amerindian populations of Guyana and even more impressively a Ministry of Amerindian Affairs. More recently I was able to connect with award-winning documentary film-maker Andrea Leland. Leland is working on a very exciting project in St. Vincent! One that aims to revive a forgotten past and place it within reach of future generations! 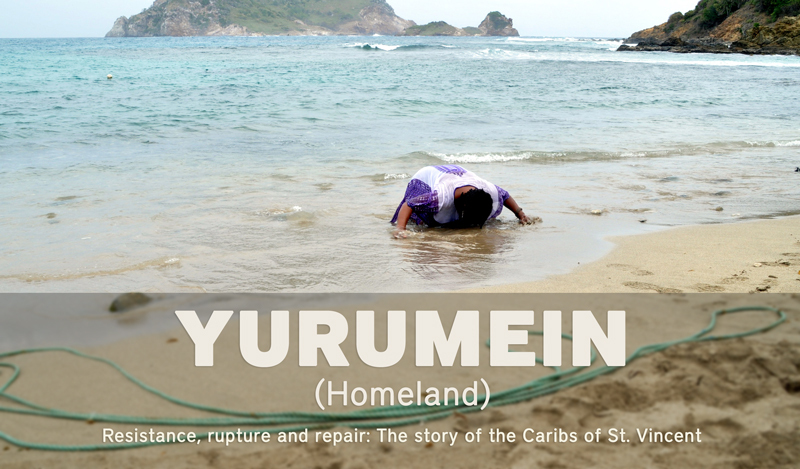 Award-winning documentary filmmaker Andrea Leland who produced THE GARIFUNA JOURNEY, has just launched a crowdfunding campaign for her upcoming film YURUMEIN—a documentary about the revival of Garifuna culture on the island of St. Vincent in the Caribbean. Leland is seeking to raise $20,000 to complete post-production on the film. 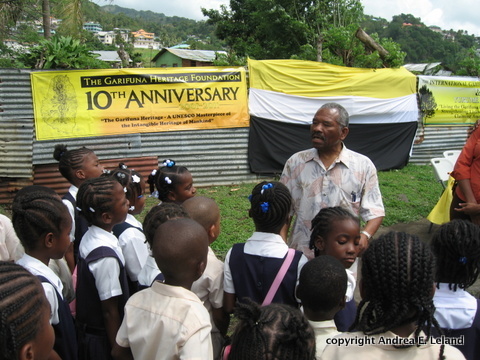 For the past two hundred years, Garifuna / Carib culture had been all but lost on the island of St. Vincent. The Indigenous Garifuna, descendants of Carib and Arawak and West African people, once lived freely on the island of St. Vincent for hundreds of years. After the defeat of their chief, Chatoyer, most were forced into hiding and eventually exiled by British colonial forces during the 18th century. Only a handful remained in hiding on St. Vincent. Today, the Carib descendants know little of their Garifuna ancestral language, rituals, dance, music or food. For the past 200 years and up to today, the community has been marginalized and labeled as cannibals. While traditions may have been lost on St. Vincent, Garifuna culture flourished in the exiled communities of Central America. 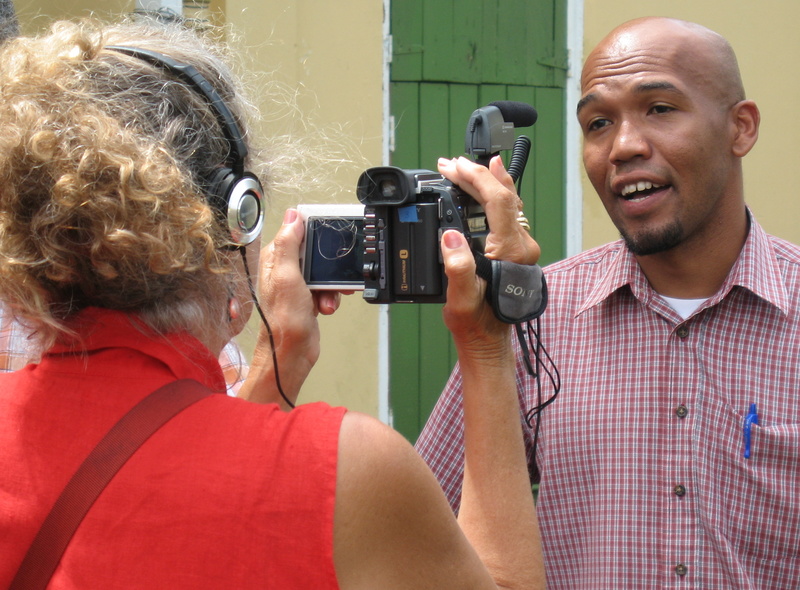 In the film, Leland captures the efforts of the Carib descendants to recover their cultural traditions by connecting with their brothers and sisters in the larger Garifuna Diaspora. Leland has completed shooting the footage for YURUMEIN in both St. Vincent in Los Angeles. She is now in the critical stage of post-production. She hopes to raise the funds to complete the film and screen it at film festivals, community groups, classrooms and, of course, widely within the Garifuna diaspora. Also in the works is an interactive website where Garifuna worldwide can upload their own video stories. You can watch a trailer for the film, read more about the film and make a tax – deductable donation here: http://www.cid.mimoona.com/Projects/477. Also like YURUMEIN onfacebook and follow ontwitter.